Moscow, November 2, Interfax - Patriarch Kirill of Moscow and All Russia has criticized those who went to Halloween parties on the day when a Russian airliner crashed killing hundreds of people. “It is remarkable that today has been decreed by the president as the day of national mourning. 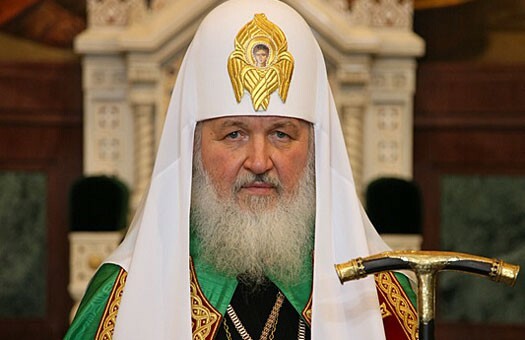 But I was stunned by a report that certain nightclubs and other entertainment facilities celebrated a festival called Halloween, which is not ours and is hardly understandable for us, in the early hours of this morning,” the patriarch said after performing a liturgy in Moscow on Sunday. “Let us pray for God not to punish these people and for love and compassion to fill the hearts of our people, so that no desire to earn money should give people a moral exemption to cross the line which may not be crossed,” he said. Experts said the Russian plane crash in Egypt is the biggest one in the Russian history, the patriarch said. “Two hundred twenty-four people, mainly young and healthy, including children, happy one the way back from holiday, who were probably chatting merrily, recalling their holiday. Everything was cut tragically short. Many of us could be on this plane,” the church leader said. This tragedy can leave no one indifferent, which is why today prayers were said at Russian churches both for those killed and those who particularly suffer today, i.e. their relatives and loved ones, the patriarch said. “We saw their faces on television screens yesterday, and today it is important to feel compassion for these people. Without knowing their names, to ask God for help, because only He, the head of life and death, can give this help and with it a hope for the future,” Patriarch Kirill said.